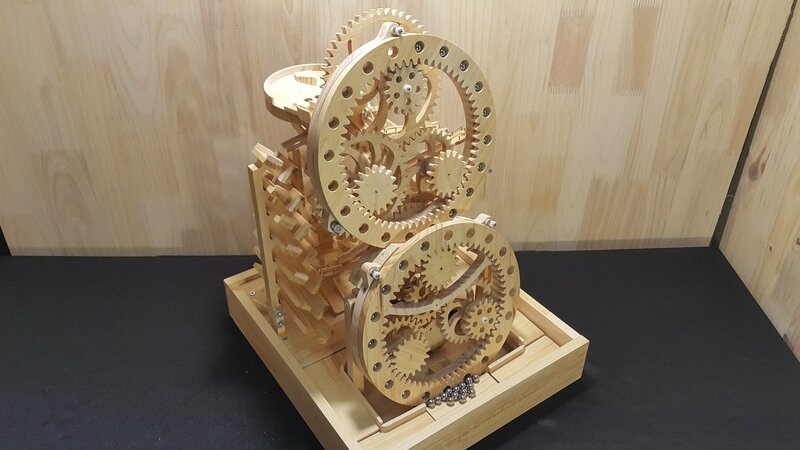 Package includes every parts of Machine such as Wood parts, wood gears, plastics gears, gear motor, brass wire (U shape), marbles steel, screws, batteries holder, push button switch, sanding paper... But not includes Wood glue and Batteries. All of them packing in Pu foam trays to make sure not missing parts and keep them safe in shipping.